Look under Research and Testimonials. Some Health Benefits: Weight Loss. Anti-Aging, Diabetes, Control Blood Pressure. Currently I am offering the opportunity to purchase Beyond Chocolate as a preferred customer. This gives you the opportunity to purchase Beyond Chocolate at wholesale prices, plus if you are on auto ship every third month you get a free order of equal or lessor value than your auto ship. Click Here​66246.well-beyond.com/ to see the products and place your order. Can YOU improve Your health by eating Well-Beyond* Chocolate? In March 2002 I was diagnosed with lymphoma cancer. I went through the chemo and radiation procedures. My nutritionist prescribed some immune boosting supplements, which I took during the chemo and radiation, but stopped after the chemo and radiation was complete. During the follow up tests I noticed the blood tests indicated my immune system was deteriorating, not enough for the doctor to be concerned, but I was concerned. I went back to my nutritionist, he said, "Jim, I told you, you must take those immune boosting supplements for the rest of your life." So I took them for the next six years. During those six years my immune system stayed positive, but I noticed, after about three years, my blood pressure was moving higher. When I asked my oncologist about the higher blood pressure, he said, "All my patients have high blood pressure." Another issue was my weight. I have always been on the slender side, at 6 foot 1 inch, and 178 lbs, I felt good. During the chemo and radiation procedures I lost weight, as most people do, and I went all the way down to 158 pounds. At 158 pounds, I was weak, no stamina, so I was very interested in gaining weight, I quickly gained back to 163 pounds, but that was it. No matter what I tried, I could not get over 163 pounds. I continued eating and exercising in an effort to gain weight and get my blood pressure lower to no avail. At one point my blood pressure was 159/90. It was still in that range, and I was still 163 pounds, when I started eating Xocai Chocolate in May or June of 2008. Interestingly, the Xocai* people told me if I wanted to lose weight, just eat a piece of chocolate about 30-45 minutes before each meal. This would help one control their portions and lose weight. 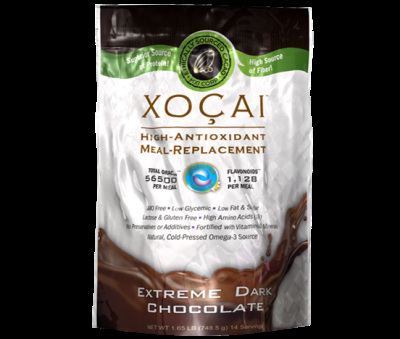 (Since then MXI has developed the Xocai* Chocolate Meal Replacement Shake, it is much more effective at losing weight.) However, if I wanted to gain weight, eat a piece of chocolate after each meal. 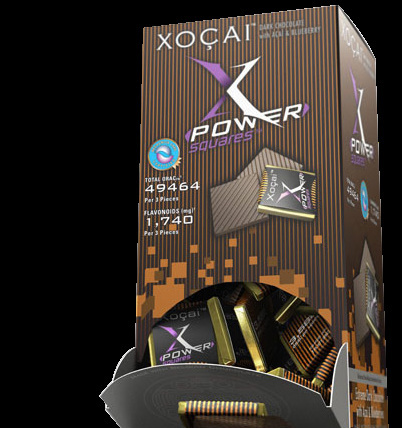 So I begin eating a Xocai* Chocolate X Power Square after each meal. Four months later in October 2008, during my semiannual follow up tests, my oncologist told me he felt it was no longer necessary for me to take the immune boosting supplements. So I stopped the immune boosting supplements but continued to eat Xocai* chocolate. Subsequent blood tests proved the oncologist was correct, my immune system has stayed in the positive range ever since. In June 2011, after three years of eating Xocai* Chocolate, I had an occasion to go through a series of medical tests. I had never heard of any of my contemporaries(I was 74 in July 2011) measuring 100 percent on the oxygen intake. So I asked one of my doctors if that was normal. He said, "No, you are not getting older, you are getting better." I really like his diagnoses. 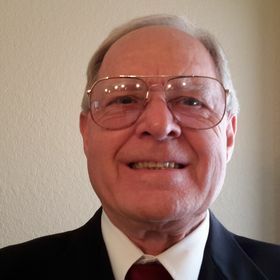 March 2016, I continue in my efforts to remain healthy, avoiding the cancer loving sugar (Xocai* Chocolate has no processed sugar) and eating an overall healthy diet, with my weight staying in the low to mid 170’s. Both my wife and I have noticed that I have more stamina, more strength, more muscle mass, than I did when weighing under 170. At the age of 78, a time and age that most are losing muscle, I am gaining muscle mass. I am not naive enough to believe it is all due to the chocolate, my continued exercising is surely helping, as is the chocolate. But for six years before the chocolate, I was following a similar exercise routine and was not receiving similar results. The statements above have not been evaluated by the FDA. Information herein is NOT intended to be taken as medical advice. No therapeutic or medical claims are either implied or made. DO NOT ALTER ANY MEDICAL TREATMENT, OR THE USE OF MEDICATION, WITHOUT PERMISSION OF YOUR MEDICAL CARE PROVIDER. FDA regulations prohibit the use of therapeutic or medical claims in conjunction with the sale of any product not approved by the FDA.